This intimate and elegant guesthouse is located close to the center of Windhoek, yet enjoys a tranquil location—11 guestrooms have lavish bathrooms and private verandas, incorporating extensive local stone. Inside a private reserve with direct access to the towering sand dunes of Sossusvlei, 11 thatched villas offer magnificent scenery, private plunge pools and rooftop skybeds for stargazing. This simple yet comfortable camp, run in conjunction with Save the Rhino Trust, offers a thrilling location from which to track rare desert-adapted black rhinos alongside community trackers. Built of stone, canvas and thatch, eight Meru-style tents feature earth tones in harmony with the surrounding environs—the private Ongava Reserve, where wildlife abounds apart from crowds. Little Kulala lies within the private Kulala Wilderness Reserve, the only reserve with direct access to Sossusvlei and the Namib – the world’s oldest desert with the world’s tallest sand dunes. The flight itself to the camp provides jaw-dropping views of the spectacular landscape that has made Namibia a favorite feature for National Geographic magazine. The camp offers magnificent dune scenery to the west and a rugged, mountainous Namib escarpment to the north and east, with grassy plains and “fairy circles” filling the space in between. The camp’s 11 stylish thatched villas or kulalas (meaning ‘to sleep’ in the local Oshiwambo language) merge impeccably into the timeless desert landscape, with exquisite furnishings and fixtures, innovative bleached decks, and indoor and outdoor showers. Each villa has its own private plunge pool and a rooftop 'skybed' for romantic stargazing. The main area offers a relaxed lounge, dining room, bar and curio shop all under thatch. Early morning game drives to the magnificent dunes take guests through a private gate into the reserve, for close-up views. Guided drives and walks are also offered on the private reserve for a chance to see desert animals and smaller desert fauna and flora. During our explorations we may see lone oryx, ostrich or other wildlife as they traverse the massive golden dunes. Desert Rhino Camp lies among rolling, rocky hills and exudes a tranquil, minimalist beauty. Despite the austere surroundings, there is a surprising amount of wildlife in the private concession. The camp is run in conjunction with Save the Rhino Trust (SRT), an organization that has been has been singly responsible for helping to ensure that the rare, desert-adapted black rhinoceros survived the slaughter that went on throughout other parts of Africa in the 1980s and '90s. Today this population of black rhino is growing, and the area boasts the largest concentration of rhino anywhere on the planet outside of a national park. Community game scouts who were employed by the Trust to help with the patrolling and monitoring over the years are now seconded to the camp to serve as its trackers and guides. Guests gain amazing insight into the ecology and conservation of this area, while at the same time a portion of the revenue contributes to the Trust and its rhino conservation projects. 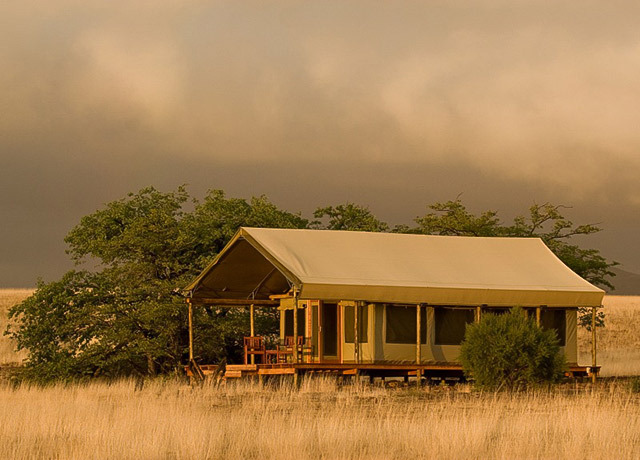 Desert Rhino Camp has eight large Meru-style tents, each with en suite bathroom and shower. A tented dining and living area offers uninterrupted views of the desert and mountains, and the extraordinary welwitschia plants that dot the plain in front of camp. Activities include rhino tracking on foot or by vehicle, full-day outings with a picnic lunch, birding and day and night nature drives to explore this intricate ecosystem. Dedicated guides provide an informative and exciting experience of a unique region. The concession's freshwater springs support healthy populations of desert-adapted black rhino, desert-adapted elephant, Hartmann's mountain zebra, giraffe, gemsbok, springbok, kudu and predators such as lion, cheetah, leopard, brown and spotted hyena. Bird life is prolific and diverse with most of Namibia's endemics present. Ongava Tented Camp, built of stone, canvas and thatch, accommodates 16 guests in eight large Meru-style tents, furnished in a palette of natural earth tones in perfect harmony with the surrounding environment. All tents have en suite facilities, open-air showers and private verandas. The family unit sleeps four. Activities at this comfortable camp typically take place around the common area with its relaxing bar and swimming pool fronting a much-frequented waterhole. 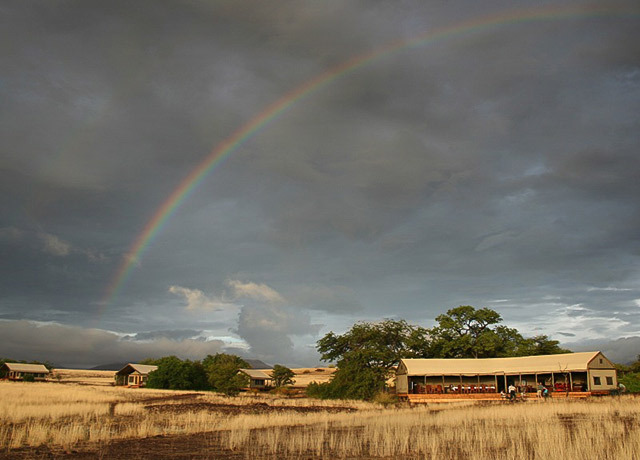 Ongava is ideally located near Etosha National Park, Namibia's premier wildlife destination. Nearly the size of Switzerland, Etosha is one of Africa's largest game parks. Large herds of plains game concentrate around the waterholes in the dry season, while the summer months’ sporadic rainfall produces a profusion of life. Yet, while Ongava's proximity to Etosha allows for game drives to see a plethora of wildlife in the national park, it has the advantage of being located on the private Ongava Game Reserve, equally rich in wildlife though without tourist crowds. The Ongava reserve holds one of the largest rhino custodianships and is one of the few private game reserves where visitors may see both black and white rhino. Other species guests are likely to see include elephant, lion, leopard, cheetah, giraffe, zebra, wildebeest, springbok, gemsbok, kudu and the diminutive Damara dik-dik. Birdlife is prolific, with ostrich and local specials including short-toed rock thrush, Hartlaub’s francolin, Rüppell’s parrot, white-tailed shrike and chestnut weaver. 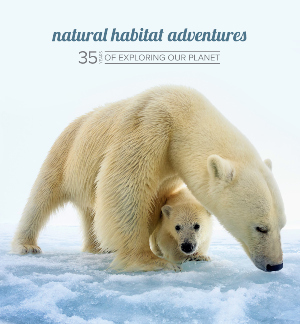 In addition to wildlife drives, activities include guided walks and viewing wildlife from hides, neither of which is offered in the national park.